There’s a lot of online buzz about Microsoft’s recent decision to open up the books to help simplify interoperability standards. 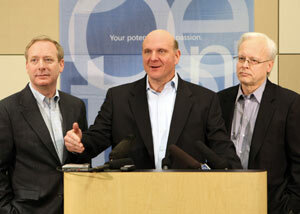 Microsoft critics have long complained about Microsoft’s lack of cooperating with industry leaders and participating in open standards. Microsoft Internet Explorer is a good example of their stubborn lack of cooperation over the years as the Microsoft browser generally renders pages unlike most other browsers. Web professionals that want to create media rich sites with the latest advancements in technology are often forced to jump various hoops just to remain compatible with IE 5, 6, and 7 all versions of IE that render certain CSS elements differently. Microsoft today announced a set of broad-reaching changes to its technology and business practices to increase the openness of its products and drive greater interoperability, opportunity and choice. These changes are codified into four new interoperability principles and corresponding actions: 1) ensuring open connections; 2) promoting data portability; 3) enhancing support for industry standards; and 4) fostering more open engagement with customers and the industry, including open source communities. The Microsoft site has the details, audio and video highlights of the press release and changes in MS policy. Engadget published this piece on the cynicism that is widespread in the industry regarding this latest MS statement. Meanwhile, the WSJ had commentary on possible motives, but seemed more trusting of the Silicon Valley giant. Skeptics will argue that its a peace offering to regulators in Europe, where Microsoft is under constant scrutiny, and to regulators in the U.S., where a successful acquisition of Yahoo would undergo close scrutiny. Finally, Venture Beat has an interesting spin on the future of Microsoft that is not laced with spite and distrust as most commentary on the story. With Ray Ozzie taking over as chief software architect for the departing Bill Gates, there is certainly a chance the company actually means to change its ways going forward. Ozzie, a veteran of Lotus Notes and Groove, two collaboration-based applications, would seem to have a mindset more in line with the open Internet. However, as they say, actions speak louder than words.